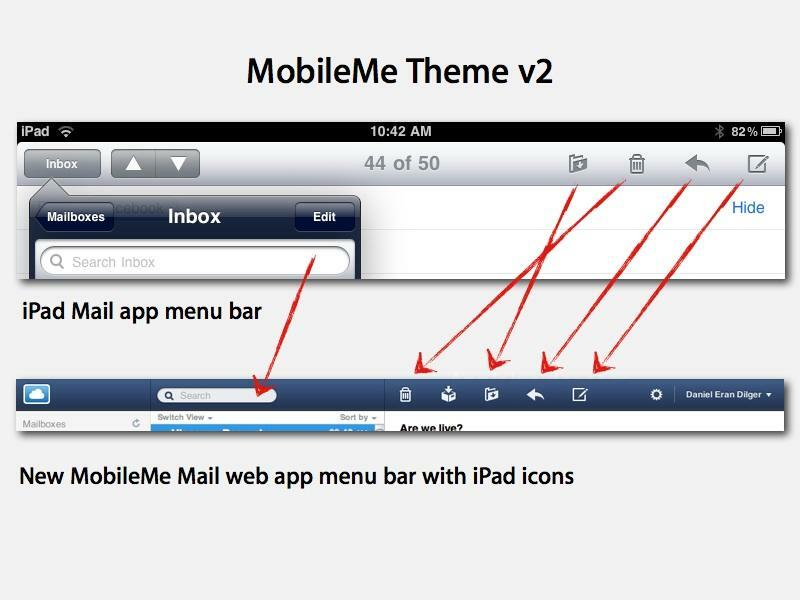 The biggest update in MobileMe's overnight facelift (described in the page code as "apple_theme_v2") was its new mail component, profiled in our earlier report. 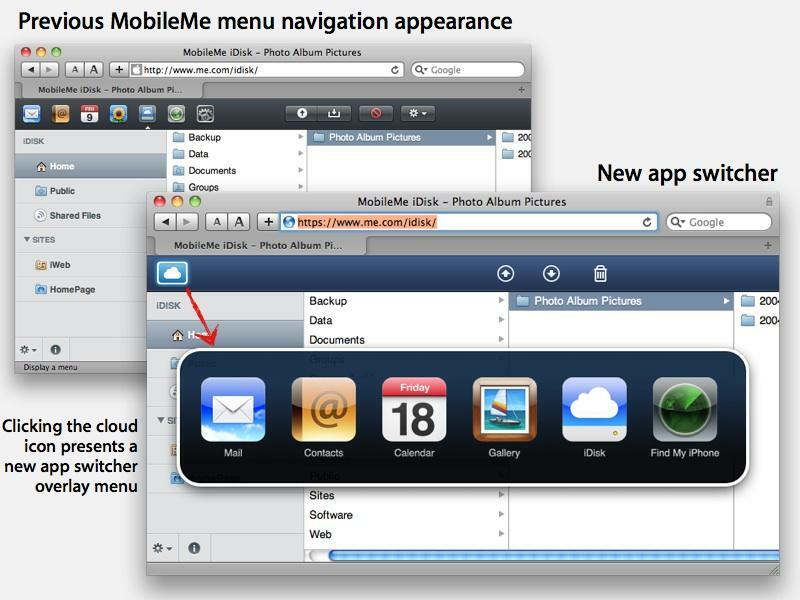 The same iPad-like interface that debuted in the Mail beta has now been stretched across the entire MobileMe suite of web apps. Every component web app now presents a blue bar across the top with a few simple monochrome icons borrowed from iPad. Switching between apps is now done by clicking on the cloud icon, which brings up a large "app switcher" popup control similar to Mac OS X (below). On page 2 of 2: Toward HTML5, .